In this bustling capital, the election billboards of Abdel Fatah al-Sisi are everywhere. They read: “Yalla Sissi”— “Go Sisi” in Arabic — urging him on for a second term. Accordingly, Egyptian voters will struggle to find a billboard for his only challenger. That obscure candidate, after all, said weeks ago that he wants al-Sisi to remain as president. Until this moment, Moussa Mostafa Moussa has not given speeches, made television commercials or bought newspaper ads seeking votes. On March 4, his first election rally was attended by no more than 25. Moussa, the leader of the centrist Ghad Party, has been one of al-Sisi’s staunchest supporters and part of a well-orchestrated effort backing Sisi for a second term. For many Egyptians, al-Sisi’s “campaign” is the latest sign of what critics say is the farce unfolding ahead of presidential elections scheduled for late this month. 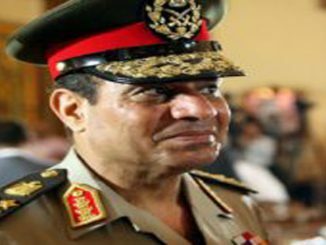 One former challenger, an ex-military general like al-Sisi, was thrown in jail. Others dropped out because of fear or intimidation. Another former candidate was arrested and accused of terrorism after criticizing the pre-election crackdown. By ensuring his own victory, al-Sisi is tightening his grip on Egypt in ways never undertaken by his predecessors. Under President Hosni Mubarak, elections were marred by voter fraud, ballot stuffing, and other irregularities, but a credible opposition nevertheless fielded candidates. The Muslim Brotherhood became the nation’s largest opposition bloc in parliament. That would help pave the way for the Brotherhood’s rise following the 2011 Arab Spring uprising, which ousted Mubarak. A year later, the party’s candidate, Mohamed Morsi, was elected Egypt’s first civilian president and sought to defuse the military’s power. In 2013, al-Sisi a military coup that toppled Morsi and imprisoned him. Analysts said this recent history is behind al-Sisi’s growing authoritarianism. In the view of al-Sis and Egypt’s military, Mubarak’s decision to accede to pressure from the United States and other Western countries and hold Egypt’s first-ever multiparty presidential election in 2005 ultimately led to his demise and subsequent political turmoil. “The Sisi administration isn’t necessarily fragile or on the cusp of collapse — but it is certainly incredibly concerned about allowing a beginning of an opening,” said H.A. Hellyer, a nonresident senior fellow at the Atlantic Council. Over the past year, al-Sisi has intensified the restrictions on basic freedoms. Hundreds of websites deemed critical of his regime have been blocked. Extrajudicial killings are rising, human rights groups say. 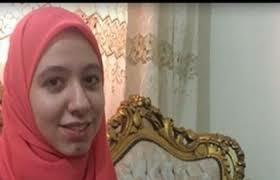 Countless opponents have been jailed, “forcibly disappeared” or sidelined in other ways, targeted often by security forces in the name of combating terrorism, especially a virulent Islamic State affiliate in the northern Sinai Peninsula. The government’s latest target is the foreign media. Egypt’s top prosecutor, Nabil Sadeq, has accused outlets of spreading false news and has threatened legal action against any that sought to undermine the country’s reputation with negative coverage. At the same time, economic austerity measures, rising prices, and declining subsidies have triggered public frustration, putting al-Sisi’s popularity at risk. The government’s elimination of potential competitors has drawn no public rebukes from Egypt’s key Western ally, the United States, or European nations. President Trump has embraced Sisi, inviting him to the White House. Under President Barack Obama, al-Sisi was never welcomed because of human rights abuses and the lack of democratic freedoms in Egypt. Senior Trump administration officials say they engage the Sisi government on its human rights record privately. 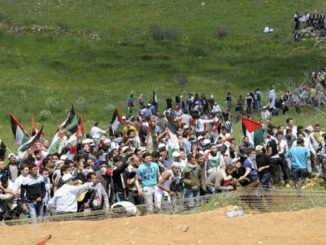 They point to the decision in August to cut or delay $290 million in military and economic aid in response to an Egyptian law undermining nongovernmental organizations, especially human rights and pro-democracy groups. Last month, Secretary of State Rex Tillerson privately brought up U.S. concerns about the elections during a visit to Cairo and restated U.S. support for free elections everywhere, his aides said. But Sisi’s crackdown on potential opponents and dissent has continued. The groups urged Western nations to halt their substantial financial assistance to Egypt — the United States alone provides $1.3 billion in aid — until Sisi’s government improves its human rights record. 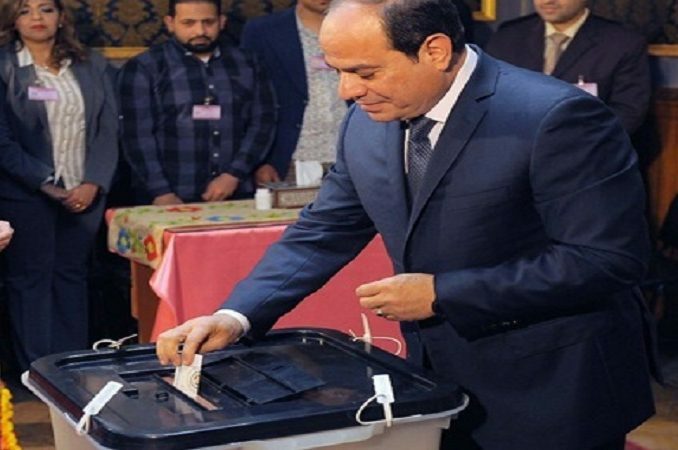 “Egypt’s allies should speak out publicly now to denounce these farcical elections, rather than continue with largely unquestioning support for a government presiding over the country’s worst human rights crisis in decades,” the groups said in a statement. The government’s news office did not respond to requests for comment. Egypt’s electoral commission, a government body, has publicly promised to run the election in an independent and transparent manner. 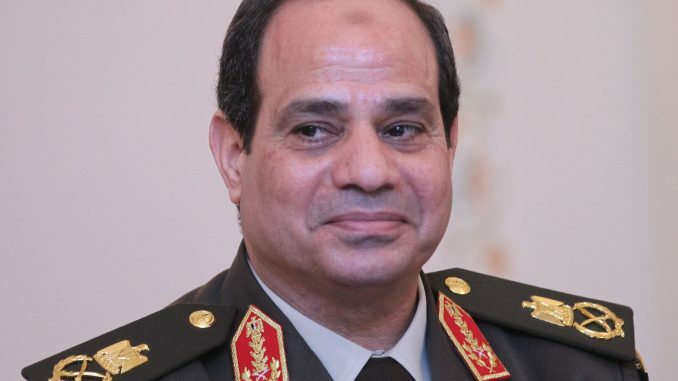 Since December, authorities have eliminated all credible challengers to Sisi. Two ex-military commanders — Lt. Gen Sami Anan and Col. Ahmed Konsowa — were arrested and jailed for violating military rules by intending to run for office. 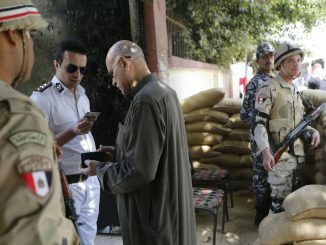 Ahmed Shafik, a former prime minister and air force chief, withdrew from the race after he was reportedly placed under house arrest. In his statement, Shafik said he could not run because he had spent too much time outside the country. Sadat, the nephew of Anwar Sadat, the Egyptian president assassinated in 1981, pulled out of the race after facing numerous obstacles, including the refusal of hotels to host his campaign events and attacks by government media. In backing out of the race, Sadat and another challenger, human rights lawyer Khaled Ali, cited the government’s repression and safety concerns for their supporters. Days after Tillerson’s visit, authorities targeted Abdel Moneim Aboul Fotouh, a former Islamist who leads the Strong Egypt Party. He was arrested after he publicly criticized Sisi and urged a boycott of the elections. A week later, an Egyptian court placed him on a terrorism list for alleged ties to the Muslim Brotherhood, now banned by the Sisi government. Aboul Fotouh could face a freeze of his assets and a travel ban. Moussa, the sole remaining challenger, announced his candidacy on January 29 — the last possible day to join the race. 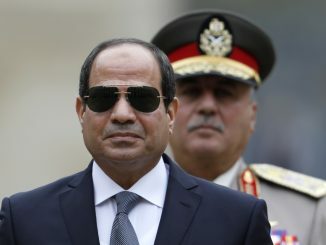 That prompted immediate speculation that he was ordered to run to bring credibility to Sisi’s candidacy and to prevent the elections from becoming a vote solely on Sissi’s record. Moussa, an engineer by training, declined requests for an interview. At a news conference after announcing his run, he denied that he entered the election to help bolster Sissi’s legitimacy and create an appearance of rivalry. “We are entering a fair and honorable competition in order to win,” Moussa told reporters. Two weeks ago, a few Moussa election banners went up in Cairo — after journalists asked his campaign whether they planned to put any up. But for most Egyptians, the elections are a foregone conclusion. Few believe the vote will be free or transparent. 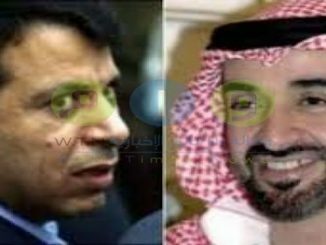 Others said Moussa’s candidacy was engineered by the government to please the international community, especially Egypt’s Western donors. Mohamed Fathy, 42, an agricultural engineer said,”Moussa is a puppet.” “They made him run because they wanted things to look as if they are democratic and to claim that they do not arrest every candidate.”He and others interviewed said they do not intend to vote. Now, Sadat said, the most important issue for the Sisi government is to have a high turnout at the polls, at least 40 percent. With no credible opponent, he added, the government will have to mobilize people. 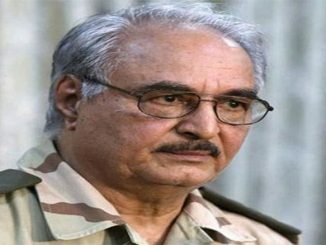 He said “there are many ways they can make this happen,” suggesting that the government will manipulate the vote.”For me, the presidential election is over,” Sadat said.